The movie “Jurassic World” is on track to become one of the highest grossing movies of all time by all accounts. But now some halfwits are calling the movie racist for the nickname that the film gives its Pachycephalosaurus dinosaurs. First of all, it’s hard enough to even READ the dino name “Pachycephalosaurus,” much less say it. So in the movie they are called “Pachys” for short. And now the movie is being called racist because of it. According to Focus News, the “Pachy” nickname was used four times throughout the movie. But in the U.K., the word is seen as an ethnic slur used to described people from Pakistan or southern Asia in general. 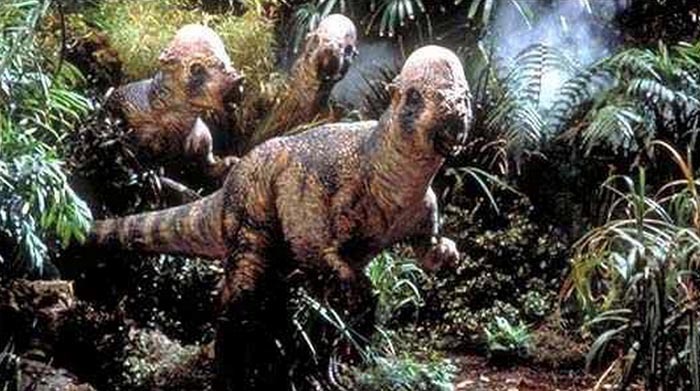 If you are one calling this movie racist over the shorthand way these dinos are named, you are truly an idiot.